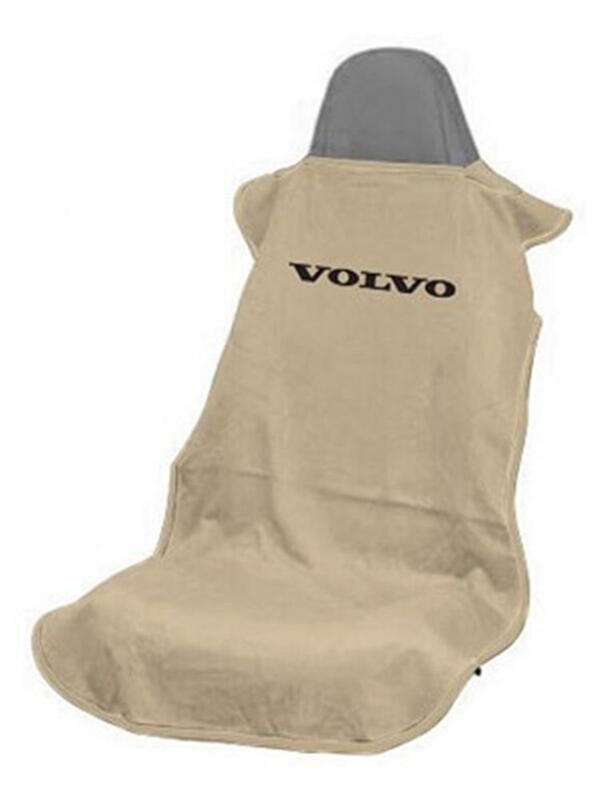 Volvo Cotton Towel Car Seat Cover | Officially Licensed Volvo Car Seat Covers for Sale | Velour Car Seat Cover | California Car Cover Co.
Volvo Cotton Towel Car Seat Covers will allow you to live hard, play hard,….and don’t mess up your car seats! 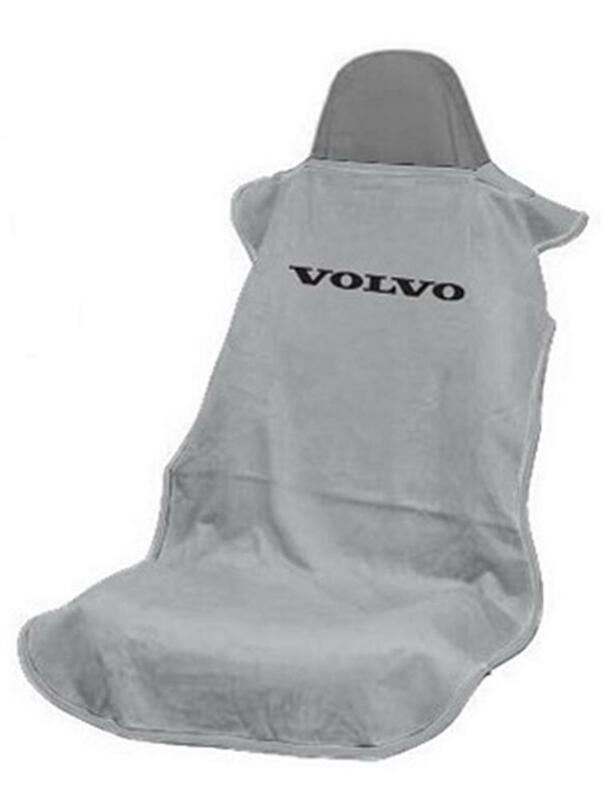 The patented Car Seat Towel is designed to fit seats in any Volvo vehicle, and features an elasticized opening that easily slips over the headrest. Easy ON/OFF design makes it ideal for use after working out at the gym, for pet owner or after a day at the beach. Made of high-quality 100% cotton terry/velour that’s soft to the touch, and machine washable. 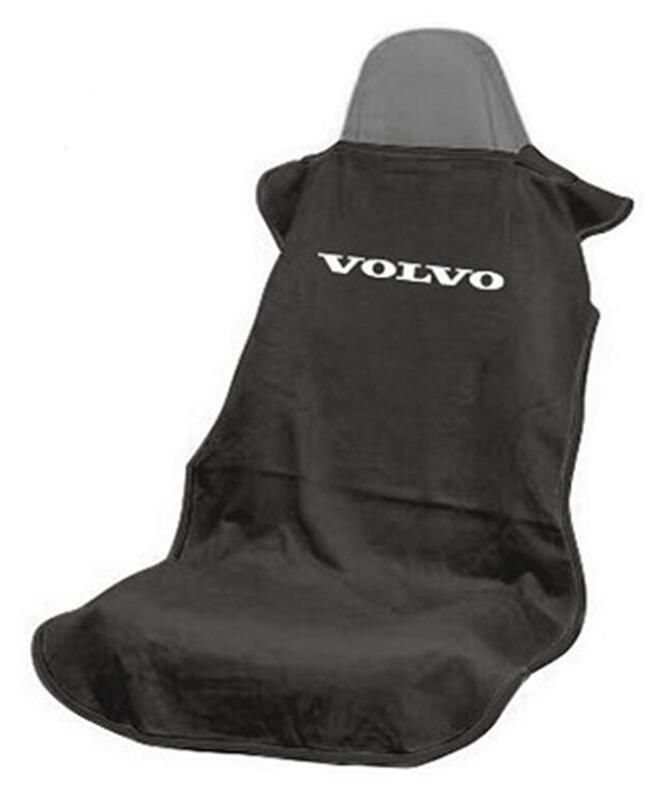 Each Towel Seat Cover is available in black, tan or grey with officially licensed logos, to protect your car while improving the appearance.